Vector Graphics and Images, such as those available on Vectorfresh, are an important part of any information system, they are used to help users understand whats in front of them more effectively. Also they are great because they can help the end user relate better through vision too! Although the amount of agencies offering stock vectors and graphics is rising, only a few sites have accomplished the goals that encompass the needs of the designers that create the graphics we use every day . Today we are going to discuss the Top 5 Vector Stock Agencies that have become the places to go for your vectors, but first, let’s see why designers, authors and agencies prefer to buy Vectors from Vector Stock Agencies. Why you should buy Vectors from Vector Stock Agencies? Benefits of buying Vectors from Vector Stock Agencies. High Quality Vectors – The quality of Vector Stock is far better compared to Vector graphics found on other sites over the internet. The Vector graphics and Illustrations offered at Vector Stock agencies are created by professional digital artists and are checked for quality by the Stock Agency offering it. Huge Collection – Vector Stock agencies offer a vast collection of quality Vectors. So buyers have a wider range of high quality vectors to choose from. Easy search functionality – The Vector Stock in these websites are categorized and are easily searchable with the help of inbuilt search options. Buyers can easily narrow down their search based on their specific requirement. Pricing plans and packages offered by Vector Stock agencies benefit all kinds of buyers. There are plans for regular and bulk buyers, as well as for occasional buyers and individuals or agencies with low graphic requirement. License terms- Buyers get to choose between different licenses which determine how the Vectors and images could be used in projects. Buying Vectors on Vector Stock websites saves precious project time as buyers don’t have to search through the clutter of low quality graphics. Vector Stock websites have a huge collection of Vector Stock in most if not all categories. And with the search functions available at Vector Stock Agencies, it’s easy to find what you’re looking for. Now that you are aware of the benefits of Vector Stock, let’s take a closer look at the Top 5 Stock Vector Agencies from around the world. 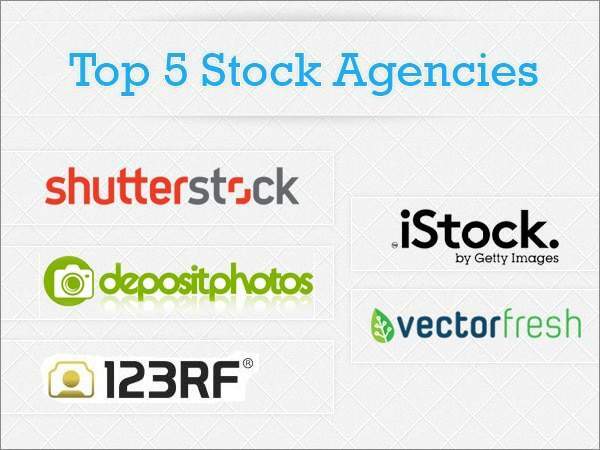 Top 5 Vector Stock Agencies! The list of Top 5 Vector Stock Agencies has websites that are known for their high quality Vector Graphics and the best buying plans and options. Besides these main reasons, these websites also offer other benefits such as excellent search functionality and great licensing options. Vectorfresh, a new Vector Only Agency has recently opened with a fantastic early bird offer covering their entire library! With over 1 MILLION hand picked stock vectors covering every category you can think of and an easy to use yet intuitive search, Vectorfresh is sure to have the perfect graphic for your current and future projects! And right now, for a very limited time, you can get full access for $49 a year! Here are some of the main benefits a Vectorfresh subscription can offer to you! Full access to a hand-curated library of over 1 million vectors with 10,000+ added every month! Every graphic is hand checked for quality and downloadable in .EPS format! Check out some of the fantastic Vectors on offer by starting your search below! That’s a mammoth savings of 55% off the regular price! To find out more about Vectorfresh and their fantastic early bird discount, Click Here! Shutterstock is one of the most renowned Vector Stock Agencies for buying Vector Stock graphics. Started in 2003, Shutterstock is now considered as one of the biggest Stock Agencies in the world. Let’s checkout the reasons that make this website a clear choice in the Top 5 Vector Stock list. Vector Stock and Images are offered in Standard and Enhanced License. Enhanced license can be used for unlimited runs for merchandise designs. Shutterstock offers Custom and Multi seat options for organizations with large Vector and Image demands. Shutterstock offers a Best Value Pack of 25 image downloads a day. You can purchase a months subscription at just $249. You can also choose between a quarterly, half-yearly or a yearly plan. You save a full $471 on the Yearly plan which can be purchased for just $2559. Shutterstock also offers an Enhanced License Subscription for Vector Stock which can be used in unlimited runs for merchandising and high viewership commercial use. Plans begin at $199 for 2 Vector Stock downloads with validity for a year. Though Shutterstock’s subscription plan is popular among regular buyers, an occasional buyer can take advantage of the ‘Images on Demand’ and Enhanced Subscription plan if required. You will get 15% OFF from any stock photo subscription at Shutterstock for new customers. Save in 2018 using the Shutterstock Coupon Code code at check out. Need footage video for your projects? Shutterstock has one of the best stock video library on the market. Get 15% off till end of September 2018 for all new customers. This deal is for subscriptions as well so your savings will be a nice reward. Depositphotos is a stock agency that has grown rapidly and steadily over the last few years and positively deserves to be in the Top 5 Vector Stock Agency list. With a growing collection of Vector Stock and superb buying options, Depositphotos has moved ahead of many stock agencies since their launch in 2009. Deposit photos offers support in 14 different languages. Vector Stock and images are organized in 38 logical categories for better search. You can buy Vectors with Daily and Monthly Subscriptions or with the Credit based plans. Vector Stock offered in Standard and Extended License. With the Extended License you can buy and use the Vectors in items created for resale or distribution, where the Vector graphic plays a major role or adds value to the item it’s used in. Facebook Signup is offered so that the buyer need not register for an account. Monthly Subscription Plan at Depositphoto begins for as low as $49 for 5 Images per Month, and goes up to $3999 for 5000 Images per Month. You can further customize the plan duration to quarterly, half-yearly or a yearly plan. This subscription plan comes with a Standard license. There’s also a Daily Subscription Plan for regular buyers with daily demands. Daily Subscription begins from 5 Images per day for a low $69, to 200 Images per day for just $1259. Further, you also have the benefit to set the plan duration from a month to a year. The Daily Subscription is a super saver plan with images for as low as $0.21 and also comes with a Standard license. Depositphotos also offers Pay-As-You-Go-Credits where you may buy 30 Credits for $32. This is ideal for organizations with irregular or less need of Vector Stock, as these Credits can be used within a year from the date of purchase. Pay-As-You-Go-Credits come with a Standard and an Extended license. Depositphotos is popular among buyers with low and huge Vector Stock demands alike. Special for you. Register and get 5 free credits to download high quality images. After registration, free credits will be in your account automatically. iStock is one of the leading Vector Stock and image stock agencies in the world and is highly regarded for its quality of images. iStock was founded in 2000 and was acquired by Getty Images in 2006. The plans and pricing at iStock make this an ideal website for small, regular and bulk buyers. Website is multilingual and can be viewed in 11 different languages such as British and American English, Portuguese, Brazilian Portuguese, Spanish, Russian, Italian, Polish, Greek, Japanese and in Cyrillic script as well. With a multilingual search function, users can search for Vector Stock and images in the languages offered. iStock offers Credits purchase and Subscription plans as well. Both, Standard and Extended licenses are offered at iStock. Payments are accepted through PayPal, Visa, MasterCard and American Express. Cheques from US and Canadian banks and US money orders are also accepted here. Exclusive images are offered through iStock’s Vetta collection. This is a place you can look for some unique Vector Stock and Images for your projects. iStock offers one of the best Credit plans to its buyers. You can purchase a minimum of 10 Credits for just $19.99. Large organizations can purchase up to even 30,000 Credits. Credits at iStock are valid for a year. iStock offers superb monthly Subscription plans. The iStock Essentials gives the buyers access to 50% of Vector Stock and images. It has 250 downloads for just $199 and a super saver 750 downloads for $1999 with $389 in savings. If you want to access 99% of the amazing Vector Stock files and images from iStock, you can subscribe to iStock Signature. With this subscription you get 250 downloads for just $499 and 750 downloads for a low $3999. 123RF is an extremely popular Vector Stock and Image stock agency, deeply trusted by buyers all over the world. 123RF was launched in June 2005 and has established itself as one of the leaders in the Vector Stock and Image industry. Let’s check out the features that make 123RF get its spot in the Top 5 Vector Stock Agencies list. More than 28 Million Vector Stock, Illustrations and Images are offered at 123RF. 123RF website is multilingual and is offered in 19 different languages. The languages the website is offered in are English, German, Spanish, French, Italian, Dutch, Czech, Polish, Russian, Simple and Traditional Chinese, Japanese and Korean. Subscription and Credit plans are offered to cater to bulk, regular and small Vector Stock buyers. You can buy with Paypal, Mastercard, Visa and American Express. Get a 10% OFF on Subscription when you sign up for 123RF or get 10% more credits when you buy credits from them. 123RF offers 3 different plans to choose from. Choose the Daily Subscription plan if you’re a regular buyer which offers a 5 images and a 26 images per day options. You can choose to buy from 30 days, 90 days, 180 days and 730 days plans. The 730 days plan is unbelievable as you pay for one year and get the next absolutely free. Download packs in 123RF have a 100 image per month and a 1200 image per year plans at $139 and $1390 respectively. 123RF also offers On Demand Vector Stock and Images without daily limits. You can buy 20 Credits for $20 and can even customize the number of Credits required. The more you purchase, the higher the savings. This brings us to the end of the list of Top 5 Vector Stock Agencies. I’m sure you are using one of these leading websites already for your Stock Vector download. If you aren’t, I suggest you start using these awesome websites right away. And don’t forget to use the Bigstock 7 Day trial or the iStock Promo Code which saves 20% on your Credit purchase. Depositphotos Coupon: 5 Free Vectors + 15% Discount! 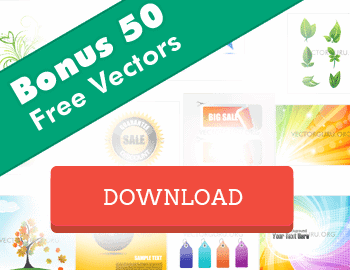 VectorFresh Early Bird Deal – 1200 Vectors for only $49! Introducing Vectorain, Your New Own Free Vector Site!